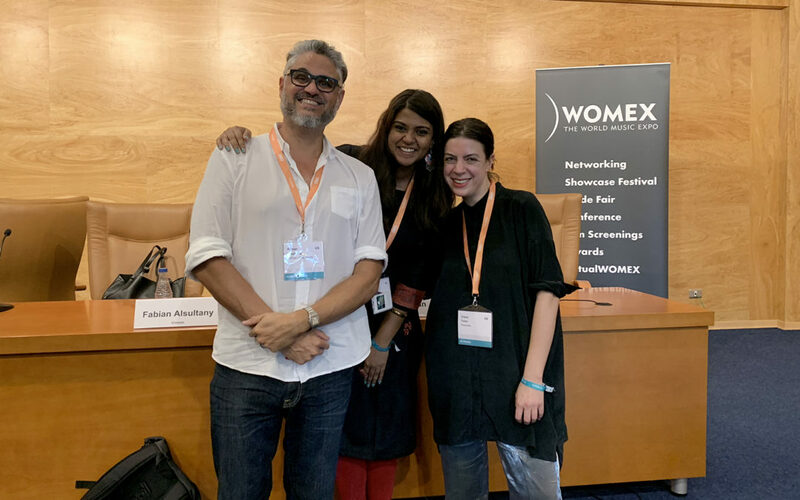 Every October, WOMEX brings together the most important figures in international music for an inspiring conference of artists, managers, producers, agents, and thinkers. This year RChain’s Fabian Alsultany was featured on the panel, A Quiet Revolution: Blockchain 101 for the Music Industry, along with Mycelia‘s Claire Tolan and Artistiks License‘s Manojna Yeluri. In the clip above, Fabian discusses the future of digital identities being directly tied into an artist’s wallet, so that every time their song is played or they perform at a concert, their earnings are immediately deposited into their account. This would be a game-changer in every facet of the entertainment indsutry—no more shoddy accounting, waiting months for checks, or fighting over percentages. It will also empower musicians with an ability to track where their fanbases are, opening up a new social coordinating system for artists and fans to connect. Blockchain will allow this sort of technology to change how we support artists.